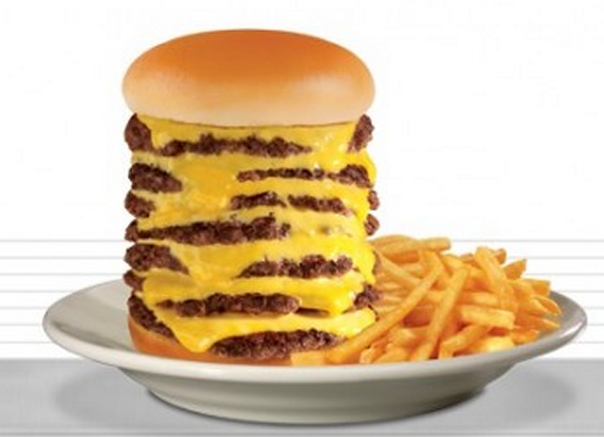 The AllNighter Menu at Steak ‘n Shake offers the 7×7 Steakburger, a sandwich stacked seven burger patties high with seven slices of melted American cheese wedged in-between. With the addition of fries, it packs in 1,570 calories, 810 of which are from the meat alone. It’s available between midnight and 6 A.M. for $7.77.